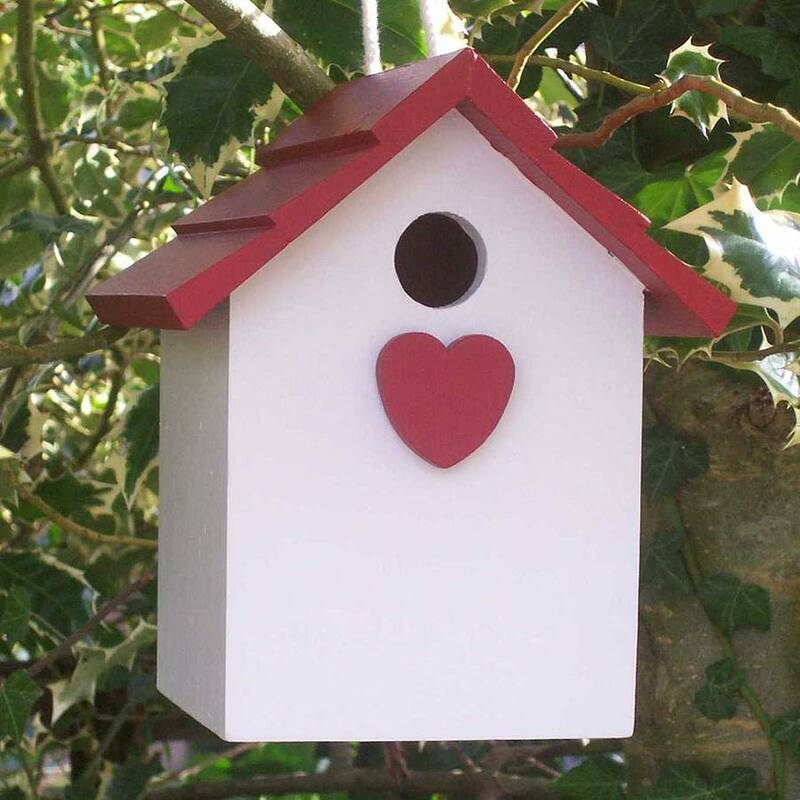 The ideal gift for those setting up a new home, a wedding present, the gardener in your life or a lover of wildlife. 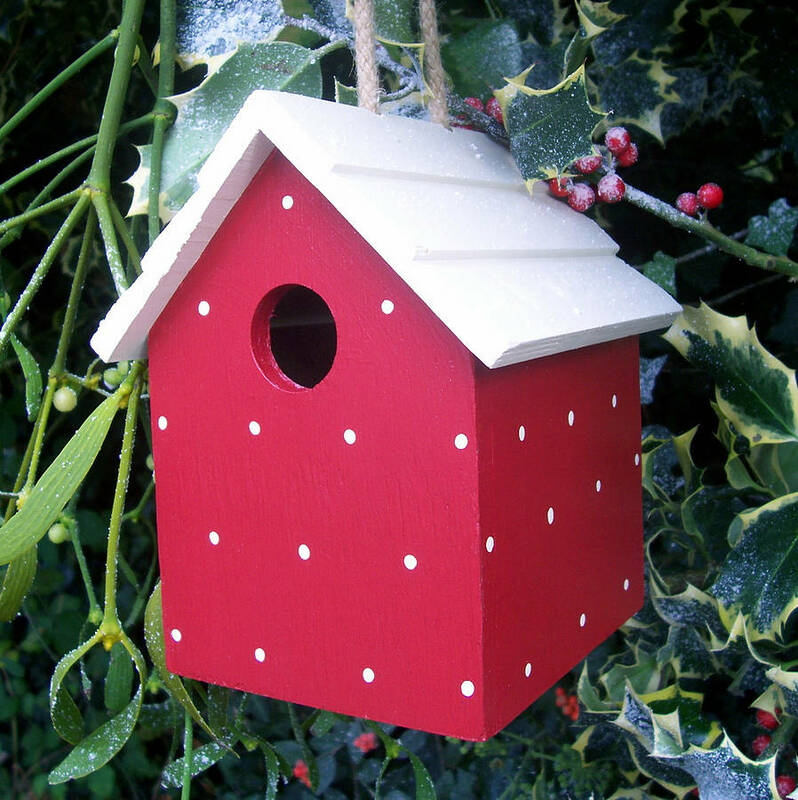 These wooden bird houses are crafted and painted entirely by hand, using eco friendly products, at my home in rural Gloucestershire. 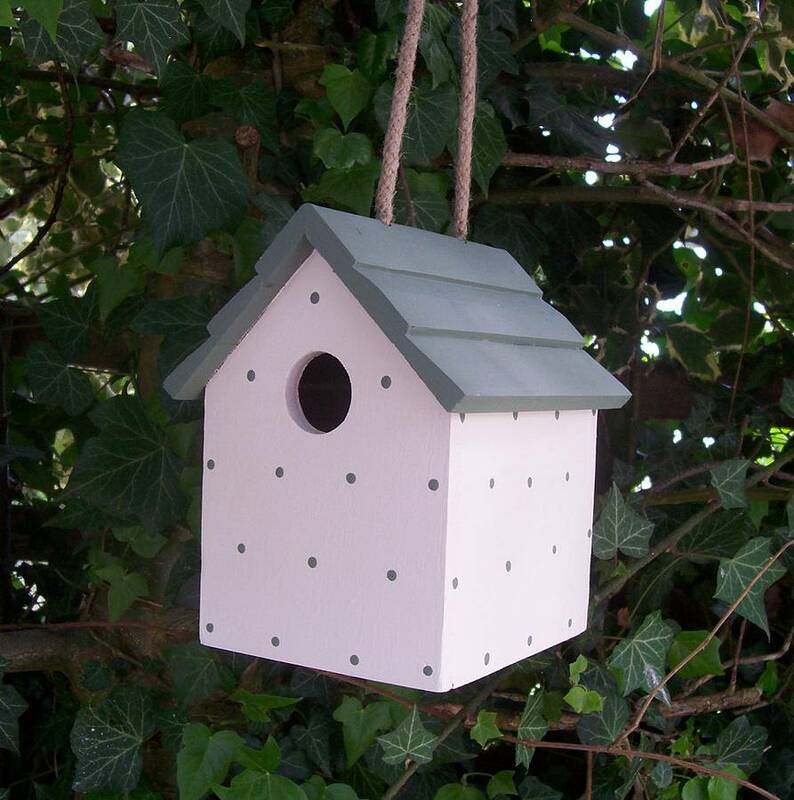 Fully weather proofed and suitable for outdoor use. 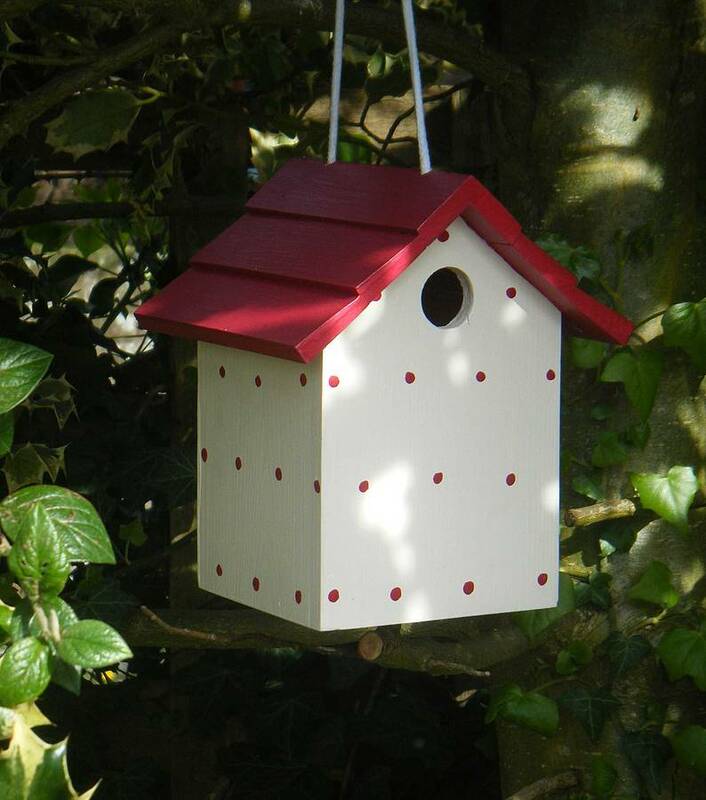 Available in a variety of colours and a choice of two finishes; Heart or Polka Dot. 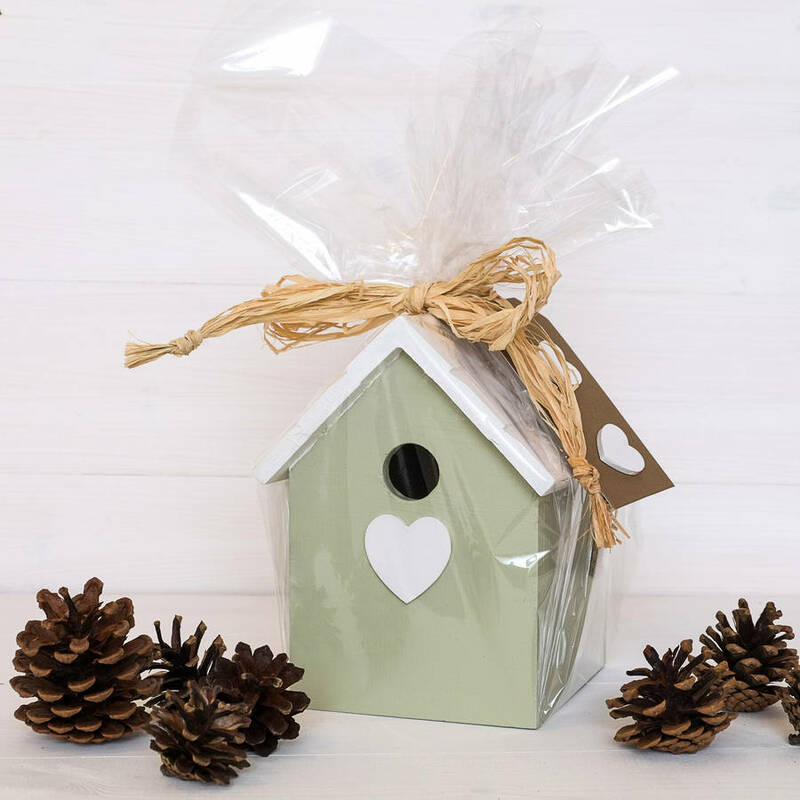 For an extra special gift, a gift wrapping option is available at a small additional charge. 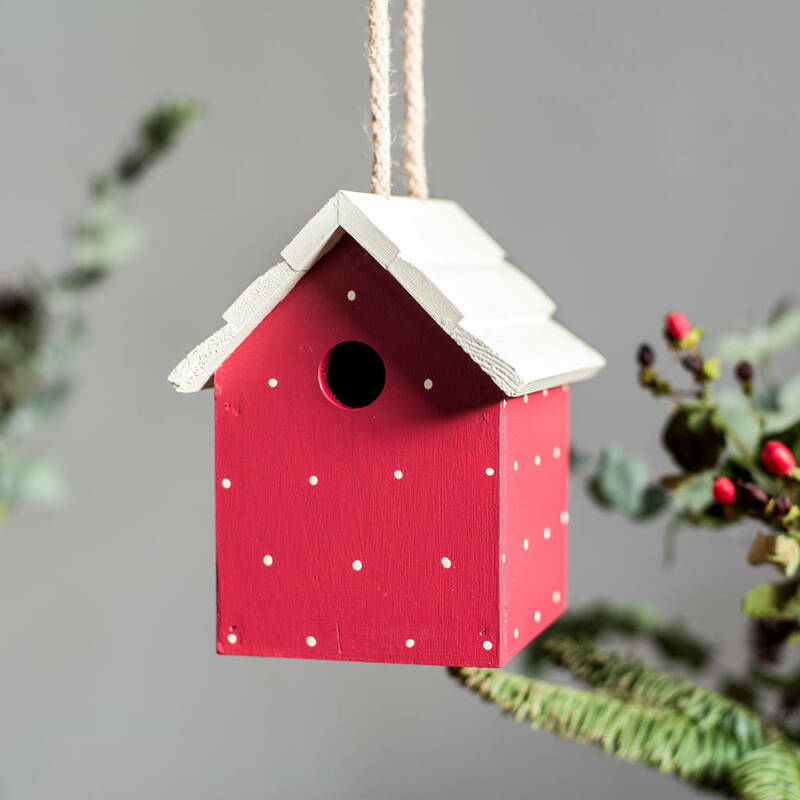 If you select this option: your bird house will be wrapped in cellophane, tied with a raffia bow and finished with a rustic handmade gift tag to colour co-ordinate with your choice of bird house. 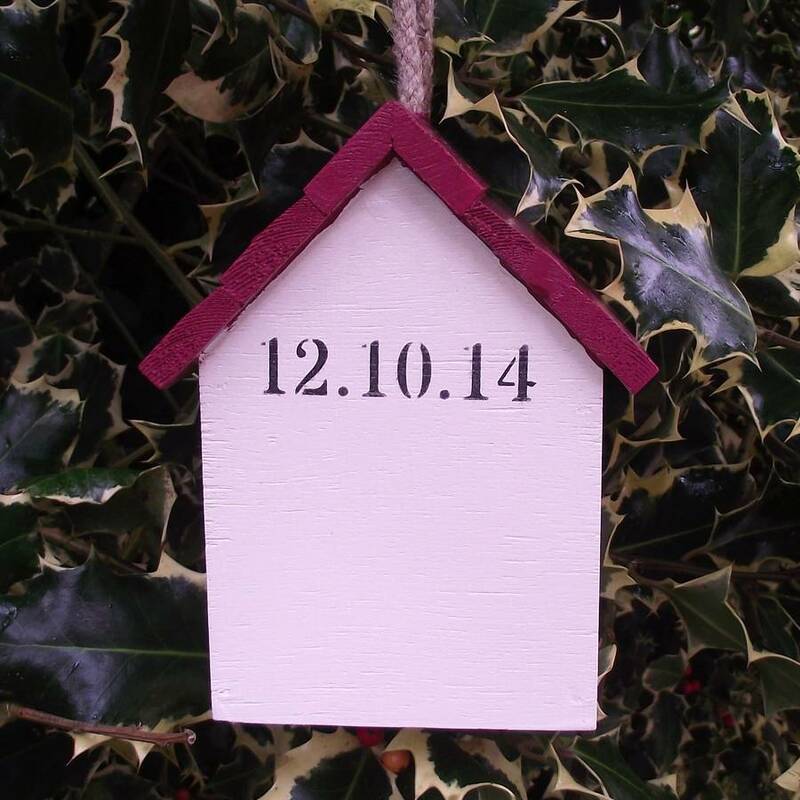 Please supply any message that you would like to appear on the gift tag in the box provided. Produced from wood from sustainable sources. Measuring approximately 17cm x 15cm x 14cm. 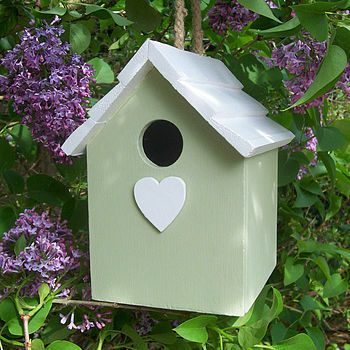 This product is dispatched to you by The Painted Broom Company.